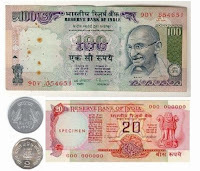 To say that every Indian is obsessed with the Rupee would really be of no surprise, considering our very material existence depends on the currency that has the Mahatma printed on it. But, of late, there has been surge in the obsession and it is directly proportional to the surge of the Rupee versus the US Dollar. Thus, the rise of the Rupee is a tale that everyone is talking of; right from the mantriji to our business magnates. And yet, something seems to be lost in translation. If you happen to track the Dollar (even for the past few days), it has been falling against all currencies quite like the London Bridge (remember the rhyme, London bridge is falling down…). Thus to be quite honest, it certainly is not strengthening of the Rupee but rather the weakening of the Dollar. Nonetheless, the impact is quite evident on the Indian IT industry, that has been quite dependent on exports from the US. Personally, I feel it is a time for reassessment, a time to get back to the basics and start working from there. Indian IT industry has never really considered the domestic market as a viable proposition. If there were ever a right time, it is right now. And that is what I intend to say in my latest story published in the Dataquest magazine, in which not only did I try to assess the impact on the IT industry, I proposed some solutions (nothing out of the world believe me). Read on. There is no denying that a stronger rupee has eaten into the profits of the export services firms in India, sometimes forcing them to take drastic measures. But a strong local currency has a positive impact. Not only can it make imports cheaper, it can force the export-oriented firms to look more seriously at the local market. By all means, the latter has started happening. Will the strong rupee be a blessing for Indias domestic market? On a balmy May night in 1991, a Swissair Airbus took off from the IGI Airport, New Delhi. It was headed for Zurich, Switzerland. As some of the passengers figured out, there was something special in the cargo. At the airport, there was much heightened security around the cargo-hold and officials seemed unusually nervous and edgy. In its belly, the Swiss aircraft was hauling 20 tonnes of gold from the Indian governments treasury, to be sold in the international marketplace. A news item in the NYT stated that the gold was sold for around $234 mn, priced at $11.7 mn a ton. Some days later, another 46 tonnes of gold was carted away to the Bank of England, London. But this time, the consignment was drawn from the Reserve Bank of India (RBI) coffers and pledged in return for loans from the Bank of England, and Japan. The hush-hush transaction had been necessitated due to the terrible state of the Indian economy at that point in time. The situation so was bad that the near-zilch forex reserves were just enough to cover a few weeks of imports, and the country was on the verge of defaulting on loan repayments. At that point, the finance minister, Dr Manmohan Singh could only wring his hands as the gold was moved out of India. Naturally, as soon as the news leaked, there was uproar throughout India. Gold is more than a precious metal for Indians, it is a sign of prosperity and wellness. People decried the governments decision; many termed it as a sell-out, while others equated it to mortgaging national honor. Indeed, India’s credibility had touched rock bottom, lenders were not willing to loan without gold as a mortgage (that too insisting on moving it physically). At that time, the exchange rate was some 20 rupees to a US dollar. This ripple (gold reserves transfer), in time, converged into a wave that changed the course of the Indian economy. Under pressure from the International Monetary Fund (IMF), India had to liberalize the economy and open up the markets. The rest, as they say, is history. Over 16 years have passed since that gold was sold, and so much has changed. Made in India is a tag used with pride and Indian businesses are creating news all over be it steel or tea. Even Indian forex reserves, which had dipped to less than $1 bn in 1991, have crossed the $200 bn mark. With GDP growing at around 9% for the past few years, and massive inflow of FDI, the picture is quite rosy. An indicator of the same is the Indian Rupee or INR that is appreciating. Today, it stands at around 40 INR to a USD. Yet, not everyone seems to be celebrating. The reasons are not hard to miss. For the past decade or so, the IT Industry has been the most estimable sector of the economy. Growing at over 20% per year, the industry, according to Nasscom figures, is set to touch $60 bn by 2010. Much of this growth can be attributed to cost arbitrage. The idea is fairly simple: earn in USD, pay in INR and sing tralalala on your way to the bank. Due to the big differential in value terms (it was 48 INR per USD in 2002), Indian companies were able to sell services much cheaply. And foreigners woke up to outsourcing. Even so, there was a catch, as Indian companies were riding on a cost plank, the billings were competitive and always under pressure. Meanwhile, due to a spurt on the domestic shore, the costs (most importantly, manpower) were always on the incline. Quite like miss Muffet (the IT players) had been sitting on a tuffet, eating curd and whey, before the spider (price rise) came and sat beside her. Since 2002, the INR started appreciating, and IT companies were caught in a quandary. With every rise in exchange rate, the margins (almost anorexic) were furthered squeezed. Yet, the companies weathered the situation with fair stoicism. The fact that the government was proselytizing rapid growth and thus giving away tax sops, could have played on the minds. Anyways, there was little noise about the gradual increase in the INR rates. As the INR continued on its northward trek, some noises were made, now and then, here and there. Steadily, the squeaks became a chorus, and much concern was expressed at the way the currency tide was turning. But when the trek turned to a sprint, the IT industry was wrought with fear. A pall of despondency descended on the sunshine sector, everyone discussed the issue with aggravated disbelief. Doomsday scenarios were plotted. And everyone spoke about how the rise would be the toughest challenge faced by the industry, an uphill battle for survival. Experts proclaimed that the rise of the INR was impacting the competitiveness of Indian players and would lead to companies favoring other locations. Yet, what everyone seemed to miss was that the rise of the INR was a natural economic phenomenon and, to be correct, was not really a steep rise. It was more a case of USD depreciation (read the box Rupee Up or Dollar Down?). If there was ever a time to sing the Indian song, it is now. Over the last many decades the IT players have been looking beyond India for growth, nothing bad in that. But in these years, the domestic pie has been increasing steadily. Consider this, according to the DQ20 figures, the domestic IT market has touched Rs 73,315 crore (growing by 27.2%) as IT spreads to B and C tier towns. A good indicator of this has been the fact that during the past year, over 11 lakh notebooks and 49 lakh desktops have been sold. MR Venkatesh, a CA based in Chennai, and author of many papers on the various economic issues including exchange rate, thumps the table enthusiastically. “I have always believed that there is huge potential in the domestic market, after all, the population of India is greater than the combined population of the US and Europe. It is simply a no-brainer. Now that the INR has strengthened, it makes an even more compelling case,” he says. He talks of how the Indian Railways has made use of technology in a big way not only to increase its efficiency but also to grow revenues. “Like railways, there are many more IT success stories waiting to happen,” he adds. The process might have already started. Till date, while TCS, Infosys, Wipro, and others were blazing trails overseas, the IBMs and the HPs became huge players on the domestic scene. Thus every big outsourcing deal like TCSs ABN Amro, was matched by IBMs big domestic deals like Bharti and Idea. The MNCs were marching away with the domestic cherries most of the time. Not anymore. There seems to be a change in the mood now, as players are focusing on the market with renewed zeal. A good illustration would be the latest TCS deal with BSNL, worth over Rs 570 crore. “If players believe that the rupee will continue to appreciate and appreciation is not going to be reversed soon, it may provide an additional incentive to develop the domestic market,” says Alok Ray, former professor of economics, IIM Calcutta, and visiting professor of economics, University of Pittsburgh, USA. Even the BPO industry is looking inward. Take the case of Intelenet Global, while its international revenues declined due to the tanking of the USD, it has become a power to reckon with on the domestic BPO front. Intelenets acquisition of Sparsh (a domestic BPO) is paying high-dividends as its domestic business grew handsomely and currently accounts for 23% of the total revenues. Thus the dip in the overseas is being offset by the rise in the domestic. So, are other BPO companies like Sitel India turning inward. “The myth that domestic clients do not pay well has been shattered. In fact, domestic companies are ready to pay provided you have a good business case. The demands of the domestic industry are quite like overseas ones,” says Safir Adeni, CEO, Sitel India. There is more to the desi story though. The process will lead to democritization of IT. The benefits from the IT Industry were transferred to a limited audience, usually in the metros and fairly well-heeled. The common man was largely untouched by the miracle. But as when the markets expand, the growth is bound to be more inclusive. The telecom sector is a brilliant case study. In a few years time, India has turned into a Mecca for all mobile companies and this transition has benefited all. Similarly, as the laptops and routers and servers reach the Indian hinterland, it will create a domino effect. Now then, the hardware sector should be on a roll. As India is a net importer in terms of hardware, be it chips or LCDs, the industry benefits the most from the current scenario. Considering that INR has appreciated by over 7% in the past few months, one expects to see big banners proclaiming never-before prices hanging on the roadside. But that has not really been the case. Indeed, hardware prices have been dropping, but not dropping as suddenly as they should. The suddenness of it all is missing. Could it be that the hardware manufacturers, the smart cookies are pocketing the margins that they are deriving from the rise. Disagrees Vinnie Mehta, executive director, Manufacturers Association for Information Technology (MAIT). “The advantage gained from a stronger INR versus the USD has more or less been nullified by the rise of the Japanese Yen and the Chinese RNB. Since much of the hardware that comes to India is imported from these two destinations, there has really not been that much advantage to talk of,” he says. Meanwhile, all that Raj Saraf, chairman and MD, Zenith is willing to say is that “the benefits have been passed on to the customer.” Ask why and how much, Saraf is not willing to go into the nitty-gritty. The silence from the hardware industry is a wee-bit surprising. After all, one mans poison is another’s honey. The cheer on the hardware side should have mitigated the gloom on the software side. But that has not been the case so far. Also, could the INR appreciation impact the evolving manufacturing story? If it is cheaper to import, why manufacture? “I dont think so,” says Mehta, adding, “the attractiveness of the Indian market would not be impacted simply because of its sheer size. Manufacturers are coming to India to tap the domestic market and not due to cost arbitrage or other things.” That is indeed the moot point: the domestic market. The hardware sectors focus (by choice or force) on the domestic industry seems to be paying off finally. All said and done, the exporting software (read services) needs to reassess and realign the goals. They need to gear up for the changed scenario. As TR Madan Mohan, director, Consulting, ICT Practice, Frost & Sullivan puts it. “Margins of export intensive firms such as BPOs have been adversely affected in the last two quarters. A 1% increase in INR against the USD can impact 70-75 base points for KPO/BPOs and about 35-40 base points on margins of IT companies,” he says. Volatility is the real devil, points out Ameet Nivsarkar, VP, Nasscom. “While one can learn to live with a gradual rise of currency, it is the sudden one (like the one witnessed in the past few months) that is hard to digest,” he says. S Gopalikrishnan, CEO, Infosys, echoes the same sentiment. “Rupee appreciated 7% during the first quarter and 9% during the year. It takes time to absorb such a change and is a challenge for the company,” he said. According to him, the company plans to raise its billing rates by 3-4% for new contracts and by 2-3% on renewal of the existing contracts. But that could be tough, as says Sudin Apte, country head & senior analyst, India Operations, Forrester Research: “First, the margins of Indian IT vendors are affected by INRs rise against the USD. In the quarter ending June 2007, the rupee appreciated almost 7% and this has hit their profitability. In addition, Indian IT exporters claim that their revenues have gone down, while costs have risen. Our research based on (IT Vendors) client interactions indicates that some of the Indian IT-ITeS companies are trying to raise prices to cope with the situation and are asking their North American clients to share some of the risks. Moreover, the bigger Indian vendors are exploring a pricing model with some of their clients that would maintain a base-level convertibility and assured returns in dollars. But we don t see a very positive reaction to this by their clients,” he states candidly. Apte has a solution for the industry as well. “To negate the impact I advise Indian IT companies to look beyond just pushing up the utilization because there are limits as to what extent firms can raise utilization. Raising it a few points further may not be the solution as the results are limited. So these firms have to take other initiatives such as enhance efforts for non-linearity; further flatten the delivery pyramid by using process IP and automation of several managerial tasks (that are manual at present); and boost front-end sophistication, for instance, firms like TCS and Infosys have made reasonable strides in this regard, most other firms need to upgrade skills related to sales, relationship management, account management, negotiations, standardization of sales process among others,” he says. Also, as the INR is more or less stable in comparison to other currencies, it makes sense to look for greener shores namely in the Europe, and other places. “It is always a good long-term policy to diversify your markets for reducing risks, irrespective of short-term fluctuations in exchange rates. It should be easier, given our past successes and the good brand image and reputation that some Indian IT companies have already built up,” says Ray. Don’t forget that with INR rise acquisitions become cheaper as well. As Indian companies look to spread far and wide, a strong currency will surely be of help and servicing the loans taken earlier would be easier. While the big players have been able to tide over the crisis, it is the small ones that have been feeling the heat. Caught between the devil and the deep sea, i.e, lesser revenue and high costs (as they don’t have the economies of scale), IT SMEs do not seem that sure anymore. According to experts, they need to do the same things like their bigger cousins, namely increase productivity and diversify, except they have a lesser margin for error. “Apart from these initiatives, for smaller vendors, the time has arrived to identify their strengths and focus on just one or two lines where they can provide services instead of spreading too thin,” adds Apte. Nivsarkar also talks about the numerous initiatives taken by Nasscom to help the SMEs diversify. “We are actively promoting new locations for our SMEs and running quite a few country programs,” he says. It is deja vu for the Indian IT industry. When the Al Qaeda had rocked the world in September 11, 2001, there were talks of a US meltdown and the resultant impact on the world economy. Then too, the Indian IT Industry was under the scanner due to its exposure to the US economy. But nothing of that happened, on the contrary, Indian companies grew and benefited. The INR appreciation (the minor that is there) is a sign of times to come; an indication of India’s growing economic stature. In 1991, we had to pledge our gold to foreign banks and take loans from the IMF. Just 12 years later, in 2003, India became a lender to the IMF, contributing some 180 mn to a reserve fund used to bail out countries in a financial mess. India also wrote off 12.5 mn that seven heavily indebted poor countries Mozambique, Tanzania, Zambia, Guyana, Nicaragua, Ghana and Uganda owed to us! Prime minister Manmohan Singh must be surely rubbing his hands in glee now. In light of such positive changes, it is but natural that currency will appreciate and should. There has been much speculation of another fall in USD due to the messy situation of the US economy, a mammoth trade deficit and rising unemployment rates. But no one is ready to stick his neck out to guess when and by how much will the hallowed USD fall. “When and how is a million dollar question with a billion dollar implications,” says Venkatesh. IT players just need to stop cribbing and realign their focus. The mantra is simple; go desi and go now! As far as the currency conundrum is concerned, the only advice that one can give to the industry captains, is the one governess Miss Prism gave to Cecily in Oscar Wilde’s ‘Importance of Being Earnest’ written in 1890s. Albeit, with a minor change. That’s the story of the “rise of the rupee”. Somewhat too sensational. The reality may be different. Rupee Up or Dollar Down? Amidst the reports and panic about the “rising rupee”, the real picture may have got fuzzy. While it is true that the INR has appreciated against the dollar to record levels over the past one year, and now hovers at INR 40 to a USD, the fact is: so have most other currencies, including the Euro, gained against the US dollar. Little googling reveals something not so startling. The INR may have gone up in comparison to the USD, but so have most others. Thus, effectively, the INR has maintained its level against most other currencies (that have let market forces determine the rate). Hence, the real issue is not that the INR is appreciating, but that the USD is depreciating. This minor wordplay betrays the bigger implications. SaysVenkatesh. “Quite many have been barking up the wrong tree because almost all world currencies, barring a few like Yen, have appreciated in comparison to the USD. It has been a global phenomenon. The rise of the INR is an economic phenomenon; as the economy becomes stronger so does the currency. But the current spurt should be referred to as the dollar depreciation rather than merely a rupee appreciation. In this light, I do not really think Indian exporters have much to complain about,” he says. Not quite says Nivsarkar. “While the USD has indeed depreciated on a global scale, the INR has also appreciated quite reasonably due to the huge inflow of foreign investments into the Indian economy. Thus, it is a blend of both the factors,” he states. So lets rake up some dust on this matter. In 2002, according to data available from RBI, 1 USD was equal to 48.59 INR; 1 GBP was equal to 73 INR and 1 euro was equal to 45.92 INR. As of today (according to XE.com), 1 USD is equal to 40.35 INR; 1 GBP is equal to 81.91 INR and 1 euro is equal to 56.11 INR. Thus, over the last 5 years, INR depreciated against the euro and the UK pound, while going up against the USD. Again, the reasons are not hard to fathom. Over the last few years, the US economy has been going through a meltdown. Economic growth has been tardy and has been beset with crises, like the latest meltdown in the sub-prime lending market. In fact, according to a report published on BBC today, “The USD has fallen to a record low against the euro as investors bet that the Federal Reserve will cut interest rates to help the economy. It is Catch 22 for the IT giants in India. On one hand, the margins are being squeezed, on the other, they need to pay more to retain the workforce. There have been signs that at least the big companies are resisting wage hikes, namely, TCS, Wipro, and Infosys. In fact, in the recently announced Salary Survey conducted by Dataquest and IDC, Infosys ranked at #12 and TCS at #13, in the top paymasters in 2007. Result, rising attrition. According to a report published by PTI, the big four, namely, TCS, Infosys, Wipro and Satyam have seen an exodus of about 10,000 people in the first quarter. Though these firms have been rapidly hiring, they collectively hired more than 25,000 employees in the April-June period, the net addition was just about 16,300taking their total headcount to 2,85,357 employees. Most of these employees seem to be leaving due to the lure of greenback, thus joining MNCs and smaller firms that are ready to pay higher. If there is any further strengthening of the rupee, great salary hikes (average salary growth of 11% and average salary hike 19%, according to DQ-IDC Survey) might be a thing of the past. Already there has been talk of how the wage hikes are becoming unrealistic, and currently forms one of the biggest components of the operational costs. The good news is that salary satisfaction is not really linked to salary hikes and much of this attrition can be controlled by imaginative HR strategies. A lot of small players seem to have learnt that and are finding newer ways of retaining their employees, rather than just trying to pay them more. Call it the revenge of the native! The chart shows the movement of stock/ADR prices of selected IT Services firms. Is offshoring falling out of favour with the American investors in the wake of a weakening dollar? After enjoying immense favor with the investors, thanks to their impressive growth rates and margins for more than four years, the leading offshore service providers saw their stocks plummeting in the last six months, thanks to a weakening dollar that gave rise to fears about the sustainability of offshoring economics. Between March (23rd) and September (7th), the price of Infosys ADR dropped 9.6% while that of fellow Bangalore company, Wipro, dropped 15.7%. But the most drastic fall was seen by the stock of “growth machine,” Cognizant which plunged by a whopping 23.5%. In the same time period, the traditional North American outsourcing firms like IBM, Accenture and CSC saw their stock prices going up by 21.6%, 9.9% and 5.6% respectively. The Indian firms like Infosys, Wipro and TCS (not listed in the US) have admitted that the weakening dollar has hit their margins. Meanwhile, the North American firms have built significant India delivery capability and are fast mastering the art of managing talent in a highly competitive labor market like India, as revealed by a Dataquest-IDC survey. This has leveled the offshoring battlefield further, and that has certainly not helped the cause of investor confidence in Indian firms.